Beginning last spring we’ve built and scaled an international sales team of 20 people across a variety of roles targeted at growing our customer base throughout Europe, Middle East and Africa, all based in Galway along Ireland’s rugged west coast. We’ve taken a bit of a unique approach to our expansion efforts so I wanted to put down a few thoughts and lessons learned here for wider distribution. 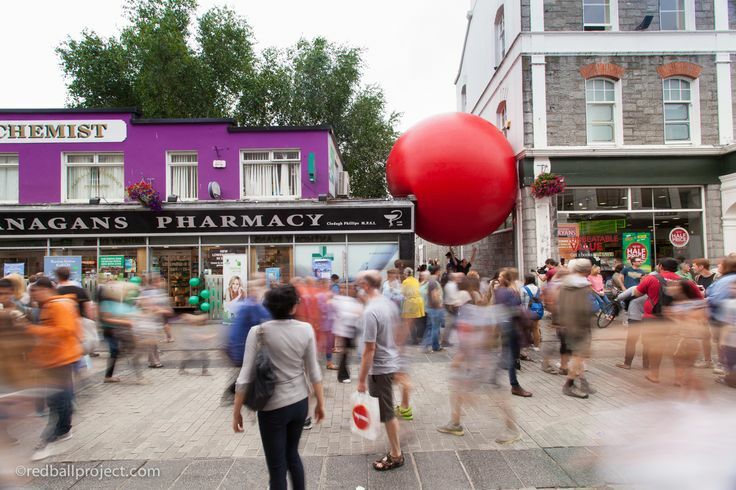 Why Galway: For the last twenty years nearly every US tech company expanding into Europe has set up operations in Dublin, now known as the Silicon Valley of Europe. What this has done is create an amazing tech hub for Ireland and the rest of Europe, however for us we also saw it as a great opportunity to take a slightly alternative approach to our office location and set up in Galway on the west coast of the country. I’ve jokingly referred to our recruiting effort as the “anti-Dublin” approach. The reality is without the tech scene in Dublin there wouldn’t be one in Galway. Because of this Dublin has offered us a complimentary talent pool of people originally from the west who moved to the capital for career opportunities at companies such as Salesforce, Ebay or Sogeti and are now looking to return to what is arguably the most desirable city/region to live in the entire country. SmartBear is to improving the quality of software for its customers as Galway is to improving the quality of life for its residents. The two go well together. Lesson: It’s a connected world we live in and Dublin is a quick two-hour spin up the motorway when needed. Always be recruiting: I wrote a blog last fall titled, Galway, The Graveyard of Ambition championing why the city has proven to be a great place for us to scale our European operations. What some thought of as a controversial title at first turned into a post that has since generated 30,000+ views, some hilarious comments, and over 30 inbound CVs. One of my current reps had just returned home from a year abroad cutting his teeth in the tech sales world on the mean streets of NYC when his girlfriend happened to come across the post on her Facebook feed and recommended he give me a call. We hired him a week later and he is now one of our top performers. Lesson: Create and market a compelling career opportunity and the candidates will come from anywhere. Cross cultural team building: In addition to attracting local Galwegians (as well as folks from Dublin, Mayo, Cork, Limerick) we’ve also hired people from the UK, US, Spain and India. 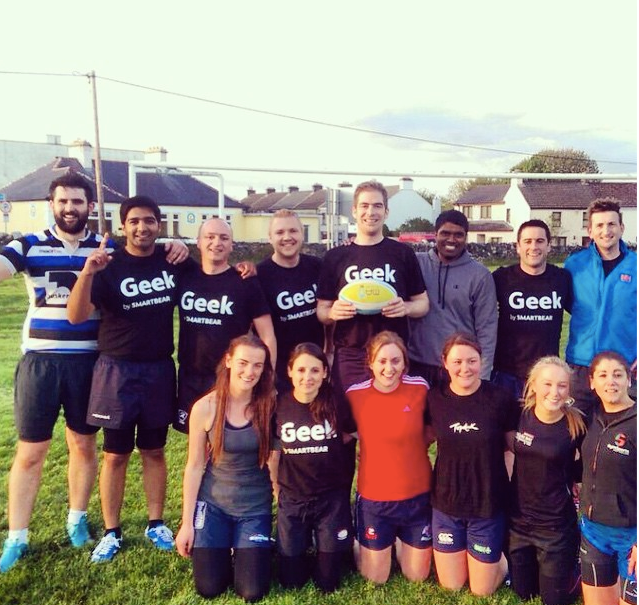 With this wide variety of backgrounds we’ve made a conscious effort of continuing to offer group activities outside of work such as tag rugby, film festivals, and Startup Galway events to foster a sense of camaraderie and collaboration. We’ve assembled a team that is seriously productive without taking ourselves too seriously and the time spent together outside the office has proven to be invaluable. Lesson: take the time to integrate a team from around the world. Possibilities are endless when everyone is aligned and working properly together, and having a good time doing so. Celebrate the small wins (no high fives necessary): although I learned early on the American “gong ringing, rah-rah” office culture is a bit misplaced in Europe, it is still critical to celebrate all the wins early on, both big and small to develop confidence and momentum amongst the team. “Bad News SmartBears” after a rare victory in our Rugby league. Final thought: Galway is vibrant. Galway is funky. Galway is alive. Galway is the European home of SmartBear Software, the world’s leading provider of software quality tools for the connected world. Interested in joining the fun? We are looking for more talented software sales closers to join our growing team. Shoot me a message and let’s talk.